SUGARHOUSE – NEW JERSEY’S SWEETEST ONLINE CASINO? The the 13th of February 2013 was the day legal internet gambling was introduced to the state of New Jersey. On 21 November 13 online casinos launched, forever changing the internet, gambling and casinos. Since then the industry has exploded with the introduction countless operators, all attempting to lure punters with flashy web sites, huge gaming selections and attractive bonuses and freebies. 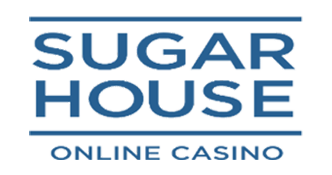 Today we will be taking a closer look at one of New Jersey’s newest online casinos - SugarHouse Casino. Launched in September 2016, SugarHouse, as per the laws relating to online casinos and gambling New Jersey, is partnered with a traditional brick-and-mortar casino. And not just any casino. SugarHouse is affiliated with Atlantic City’s Golden Nugget, a giant of the gambling industry with an iron-clad reputation. This partnership immediately lends SugarHouse the type of credibility that would otherwise have taken many years to achieve and gives them an instant advantage over most of the competition. In this review we will be looking at the games, bonuses and mobile apps players can expect when they game with SugarHouse Online Casino New Jersey. 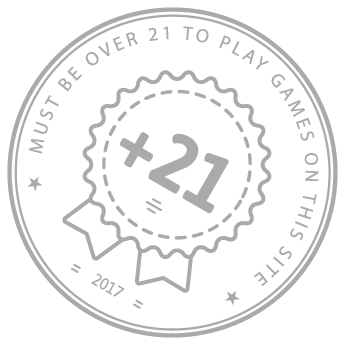 As of August 2017, SugarHouse Online Casino had a games catalogue that includes more than 300 different slot games, 7 table games and 6 varieties of video poker. This considerable collection alone puts it in the top third of online casinos in New Jersey. The minimum stake ranges between 1c all the way up to a scarcely believable $250 for a single spin. Those who are a bit more budget conscious will be glad to hear that most of the slots actually cost less than 50c per spin. Perhaps the most impressive feature of their slot collection is the sheer amount of exclusive titles, of which there are almost 20 different titles. 3 Card Poker and Let It Ride both feature the normal playables and expected returns. A base bet on 3 Card Poker returns around 96% while Let It Ride has also has a return of 96%. When it comes to poker, the house offers 5 varieties, including 2 that can only be found at SugarHouse. All versions are strongly implemented and apart from the 1 version, all have a high return of 99.5% with a house edge of less than 0.5%. The exception is SugarHouse Single Deck Blackjack, which, offers 6:5 instead of the usual 3:2with a return of 98.74%. The most innovative blackjack game offered by SugarHouse is definitely Multi-Bet Blackjack, with optional side bets. The player first chooses their betting limit from $0.10 - $10 on one end and $100 - $1000 at the top. Players then bet on up to 3 hands with 3 optional side bets for each hand. This gives players 12 betting opportunities on a single hand. With this game, the deck is not shuffled after each hand, resulting in quite a few interesting changes to what players usually expect. SugarHouse offers new players several attractive bonuses when they sign up. First is the No Deposit Bonus. After the player registers, they will be taken to a spinning wheel and be given 1 free spin, where they are guaranteed a bonus of between $10 - $20. The best thing is that you only have to meet the x1 wager before you can convert it to cash. Next Up is the First Deposit Bonus where the house while give the player a bonus equal to the amount they first deposit, up to a maximum of $100. While the amount is significantly lower than many other online casinos, it is the wagering requirement of x1 that makes these offers really stand out since most casinos usually have a wagering a requirement of x5 or x10. SugarHouse offers punters both an Android and iOS based mobile app, playable on smartphones and tablets. The app gives players access to over 80 different games, significantly more than the apps offered by the competition. Overall, the apps work well and are a must for games who like to play while on the move. Android users can download the app from the SugarHouse site while iOS players will find it on iTunes. Let’s cut straight to the chase – the most unique and attractive feature of SugarHouse is their unbelievable bonuses. While at first glance a 100% first deposit bonus match of $100 might not sound very generous when the competition is throwing $1000. But thanks to the x1 wagering requirement, it is basically a 100% cashback deal and in reality, the best deal any of the New Jersey online casinos have come up with so far . In addition, SugarHouse has a great selection of games and well developed mobile apps. With great features like this, this newcomer is set to become a firm favorite and a potential industry leader. We strongly suggest signing up today, if only for the bonuses!